Looking for something fun to do this school holidays? Bring the kids to Classic Flyers. We are running a Junior Pilots Colouring Competition that is open to all kids from under 5 years to 14 years old. The competition runs from Friday 12th April to Sunday 27th April and is free to enter. Winners in each of the 4 age categories will win a gift voucher to spend in the Museum Gift Shop on some cool toys or gifts. 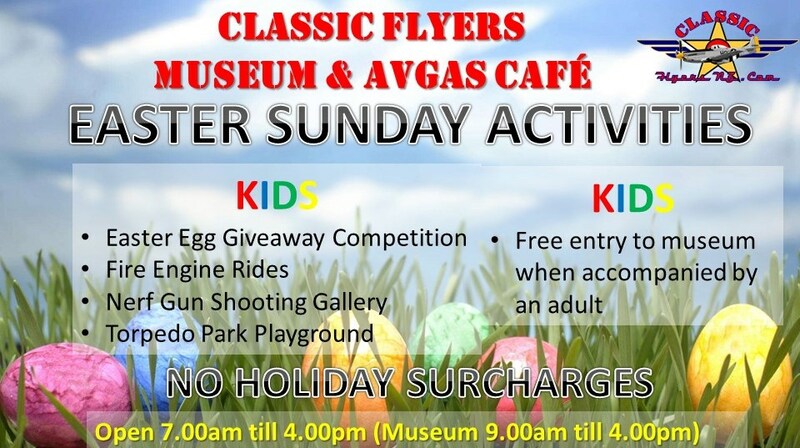 Then on Easter Sunday 21st April we will be running an Easter Egg Hunt in the main Hangar open to children of all ages (with help from Mum & Dad)! 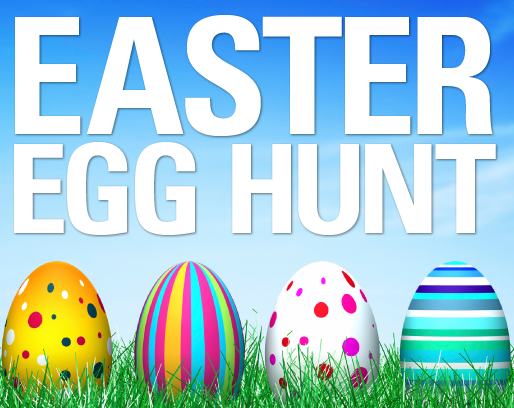 Successful "Egg Hunters" will win a delicious Easter Egg. There will be Fire Engine Rides during the day and our Jurassic Dinosaur Shooting Gallery will be operating throughout the day too. Parents or "big kids" will not miss out either! All adult visitors can put their name in the draw to win a delicious hamper of chocolate Easter Treats.